Honestly, I'd be lying if I said I was mad about the logo. Not a fan of the dots, or the shape of it tbh. Yep. This is what it reminds me of (which I do also love). Hyde, mrrc, b&mfanboy123 and 13 others like this. I immediately thought of the Cars logo when I saw it. It's not a bad logo by any means, but it's difficult to judge it from a small image with little context. Feels quite different to the style of marketing images we've seen so far though? So for me, jury's still out! mrrc, Yoris Kerkhoff and CSLKennyNI like this. The letters feel squished to me. I can see exactly why they've done it that way, but ew... Not to my taste. However I imagine except for the name and logo, I'll love everything about this project, so I can't complain too much. Steel & Story and Brian like this. Hhhmmmm, I was expecting it to look more mechanical but the wings and overall style are more of a bird than a machine. I'm even more intrigued about this coaster now. Another point is that it very much looks like an aviator badge (those usually given to pilots of military planes). Fits with the style from the advert for the hotel, which said 'sleep like an aeronaut'. 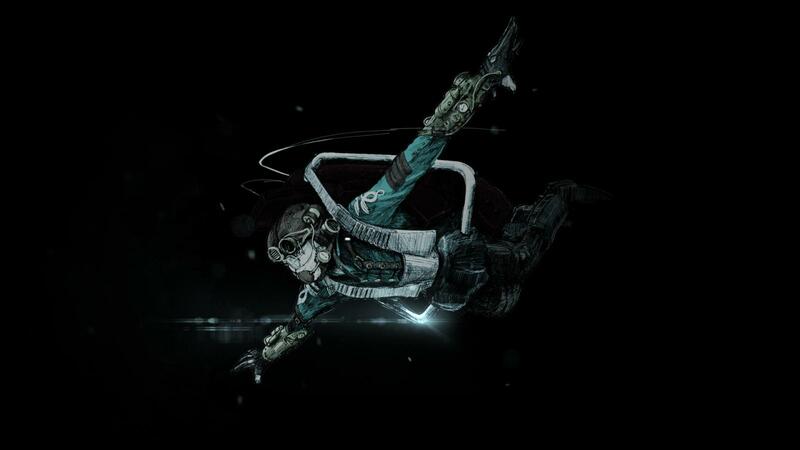 Rookburgh could very much be about becoming an "aeronaut", with the centre of it all being, unsurprisingly, earning your badge by riding Fly. Since it'll likely be a sub-area of Berlin, there's plenty of chances to make it era-appropriate and steampunk too as a result. Steel & Story, Yoris Kerkhoff and Benenen like this. They better did not spend the past 3 months on this badge... I think it could have been done a bit better. My first thought on seeing this is "flying car" and that is really easy to steampunk. Maybe the backstory and dark ride segment is around making the car fly, and you accelerate (launch) to get to flight. Could work quite well I think. My mind is still boggled as to how the transition from sitting to flying wont be offensive. A simple google search of 'aviator badge/logo' shows similar depictions. 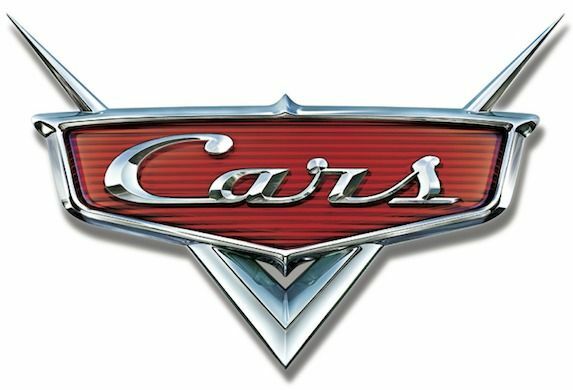 Whilst yes, the stylised crest could be similar to an early aged motor vehicle, considering the other components of the marketing we've seen I really would doubt that the rides theme would have anything to do with cars. Just an opinion though. Would be very intrigued to be proven wrong. Steel & Story, Pokemaniac, Lofty and 5 others like this. It's an aviator badge. I would probably drop the idea of a flying car pretty quick, considering a lot of the posters so far had characters wearing old fashioned pilot clothing, with the googles, leather caps, wooly jackets and all. I know it's an aviator badge, doesn't mean my head (which is a scary, scary place) can't go off on wild tangents. Just wanting to spice it up a bit. Does the transition take place during the launch or before? Whether the train is traveling fast or slow, I'd imagine it'd be fine. Falcon's Fury (best comparison I can think of right now) has the high speed transition from flying to sitting, all with a quick deceleration rate, yet it felt seamless. I trust that they'll be able to get it right with this. Feels quite different to the style of marketing images we've seen so far though? The dragon wings motif did make me think of this symbol which appears on both the Rookburgh and F.L.Y. teaser artworks but it is rather different in style (more Victorian looking) though. Other than the awful lettering, I think it looks good but probably best to withhold proper judgement until we see a high quality version. Wonder if the logo will feature on some new teaser sign in the park when it reopens in April. Also I'm intrigued though to see if that actually is the final look of the logo. Personally I'm presuming it is with the metallic wings and F.L.Y. track red background. I think it works. However it could slightly change for all we know. The Taron logo that was initially trademarked had a different wooden style/colouring to the final sliver and black metallic version used in the park and on promotional material - use of which started only 2 months after that trademark was filed. Also I'd agree with the speculation about the aviator badge. There's a clear focus on Aviators or Aeronauts as the park is terming it. Also not really relevant to Rookburgh but an interesting bit of trivia. A German YouTuber filmed an interview with Manuela Loffelhardt, director of shows in the park and wife of the park's owner. Rookburgh is mentioned but nothing new is said she simply responds "I just do shows". But it is mentioned that Phantasialand did host visits by officials from Universal and Disney who were interested in seeing and discussing the build of Klugheim and Taron. The Loffelhardts felt honoured that the world's "theme park giants" were that interested in what their family run park is doing. peep, Yoris Kerkhoff, Matt N and 2 others like this. Before. The train is going up the lift (vertical dark ride section possibly) then does a right turn, and at the same time it turns into the flying position. The train then heads into the first launch directly after. The speed is most likely going to the same as that seen in the prototype tests as that is the same lift and track sections being reused in the actual coaster. mrrc and Hutch like this. 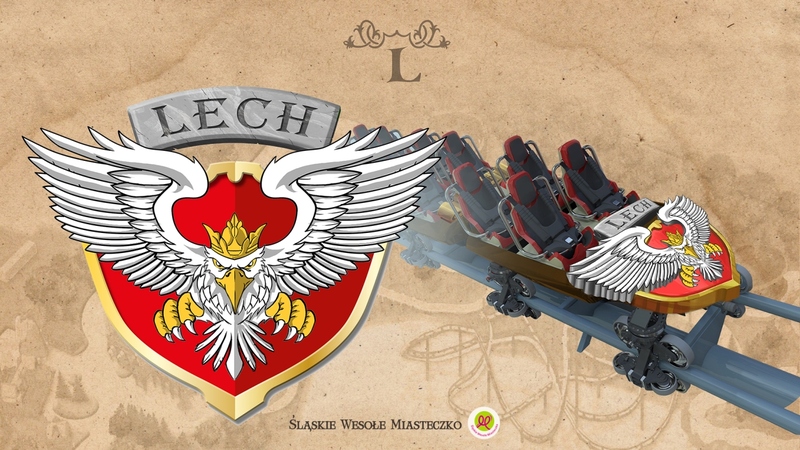 I can't be the only one who thinks it looks like the bird on the front of the LECH Coaster trains, right? Ok yeah now that I look at it again, the only thing similar between the two is the fact that they have wings. I love the Rookburgh typeface but the FLY logo looks unfinished and/or unpolished. Regardless of the look. Tobi on PhantaFriends.de has had a look at the site during the off season, and despite the past few weeks since the off season began being extremely cold and seeing a lot of snow fall there has still been considerable progress on site. Above the underground maintenance hall a number of concrete walls have been built. 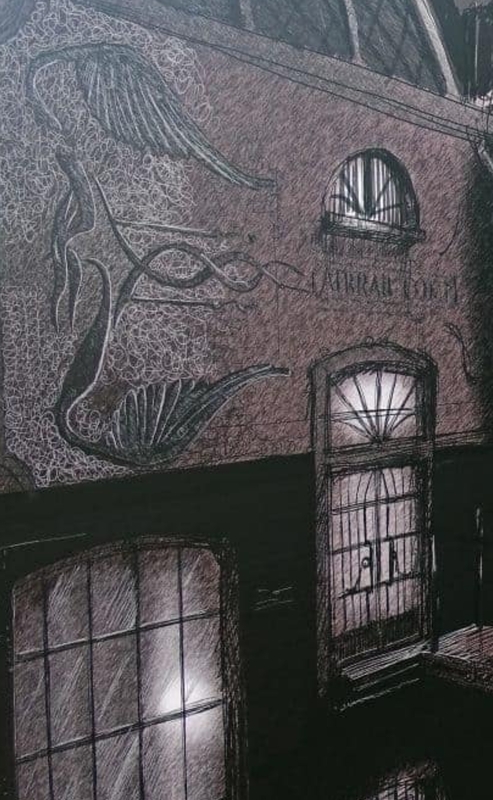 Among these one relatively large room has been formed, which Tobi speculates could potentially be a breakfast room/restaurant for Hotel Charles Lindbergh. Theming work continues on the sound barrier wall (backside of the Wuze Wall) with parts already themed and other sections with the first concrete layers being sprayed. He also notes that gaps/recesses have been left in the surface at regular intervals. Similar to those small gaps previously seen on the Wuze side (which eventually ended up being the connection points for the arches that were added on); however the Rookburgh gaps are different in that they run almost the entire height of the wall. More track for F.L.Y. has been installed at the curve into the brake run, and the next piece sits under the supports already to be lifted up into place. The track here does twist over 180 degrees - so this will another inversion just before the brake run! Tobi estimates that there are currently 961m of track in place. If the coaster was to be only slightly longer than Flying Dinosaur (1123m) then a maximum of 86% of layout has been built. However as things are coming together he believes much more track is needed to complete the layout of F.L.Y., and therefore it will most likely be the world's longest flying coaster by a considerable distance. Steel & Story, b&mfanboy123, Yoris Kerkhoff and 8 others like this. Thanks for the update. Just to clarify, does this inversion resemble the one already existing over the tall building, or is it a different type of inversion? Steel & Story and Yoris Kerkhoff like this. Some new supports were delivered and are currently placed on the Berlin parking lot. With all the new concrete work done I wonder if the track will be completed before the season starts in april? Steel & Story, mrrc, Yoris Kerkhoff and 7 others like this. And Tobi just mentioned on Phantafriends that today another track part was installed after the inversion. Immediately next to the inversion. mrrc and Yoris Kerkhoff like this.